2017 marks the centenary of the February Revolution and the subsequent October Socialist Revolution of 1917, which plunged the country into a civil war and prompted hundreds of thousands from Tsarist society’s upper ranks to flee for their lives. Almost 50,000 of these ‘white émigrés’ arrived in Serbia, including members of Leo Tolstoy’s family. The 1917 October Socialist Revolution, which turns 100 this year, is seen by many as a turning point in the country’s history. Over a million people fled Russia in the wake of the October Socialist Revolution and ensuing civil war, including noblemen, skilled professionals, business owners, faithful Christians and others who’d seen their property confiscated by Bolsheviks. These refugees were predominantly from Russia’s educated classes, and were known as white émigrés. About 50,000 refugees from Russia entered Serbia, including members of world famous Russian writer Leo Tolstoy’s family. The refugees also included architect Nikolai Krasnov, ballerina Nina Kirsanova as well as hundreds of doctors, engineers, and theologians. In an interview with Sputnik Serbia, Professor Andrey Tarasyev from Belgrade University specifically heaped praise on Serb’s attitude toward Russian refugees. “I keep repeating that nowhere in the world were refugees from Russia accepted as heartily as in Serbia. Although Serbia was in ruins after the two Balkan wars and the First World War, it managed to receive Russian refugees, who were even allowed to go by tram free of charge just because they were Russians. Serbs were ready to share their last piece of bread with them,” Tarasyev said. He noted that the Serbian government tried to help Russian refugees find work in line with their field of expertise, and that the majority of the refugees were from the Russian intelligentsia. In addition to Nikolai Krasnov, who helped restore war-torn Serbia’s architectural image, the country also received Russian university professors, such as Alexander Ignatovsky, one of the founders of the University of Belgrade’s Faculty of Medicine. Ignatovsky also worked out the project to build the First Clinic of Internal Diseases, of which he was a head, according to Tarasayev. 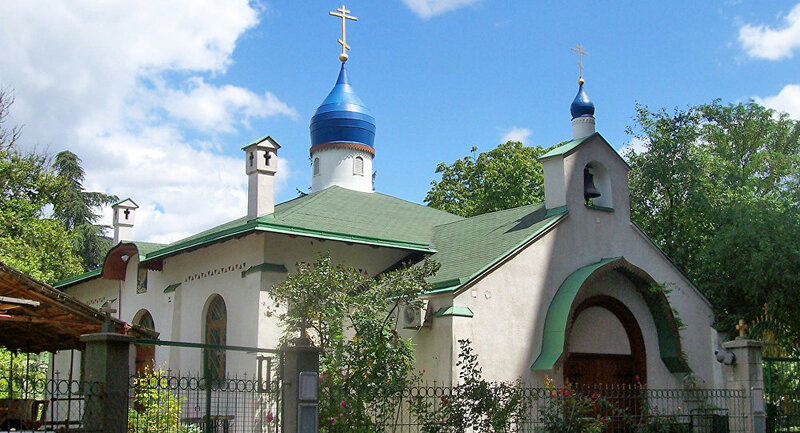 He said that the Russian refugees also added to the revival of female monasticism, which had been eradicated during the Ottoman rule, and the liturgical life of the refugees from Russia began even before the construction of the first Russian church in Belgrade. “Probably the very realization of the fact that we were presented with life helped Russian refugees go through hardships and find their place under the sun in this part of Europe. Without them, Serbia would not have been as it is now,” Tarasyev concluded. This entry was posted in Featured, Featured News, News and tagged Leo Tolstoy, Nikolai Krasnov, October Socialist Revolution, Russia, Sputnik Serbia by Orthodoxy Cognate PAGE. Bookmark the permalink.